Hello Hearthstone players, I am an infinite arena player who has been playing on his spare time since beta. Recently I have decided to devote more of my time and energy to playing the game and publishing articles. 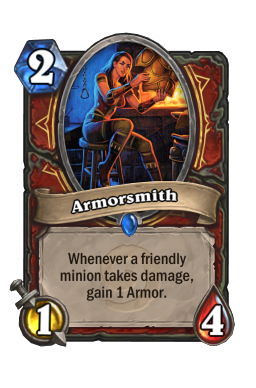 I would like to consistently publish articles for the foreseeable future and today’s article is going to be the start of a Hearthstone fundamental series. My goal is to publish a variety of different articles but I figured a series on Hearthstone fundamentals might benefit both arena and constructed players alike. For this article I decided to focus on a particular mistake that I have seen both constructed and arena players make, which is using The Coin on turn 1 with no follow up play. The mistake I’m talking about is when the second player uses The Coin on turn 1 to play a 2 drop and then go on to Hero Power on turn 2 and 3. The reason why this is a losing play is because the player that makes this play knows that they don’t have a 1 or 3 drop but they do have a 2 drop. With this information the player then chooses to coin out the 2 drop and gamble drawing another 2 drop the next turn. Making this play essentially means that you are OK with losing the board on turn 2 or turn 3 if the opponent has an answer and develops anything. On the other hand, it appears that this game incentivizes you to take the board as early as possible which is important to understand. However, it’s a trap to assume that any turn 1 play at all is mandatory, especially if you have no follow up play. In order to understand why this is so I have prepared several examples of some games where it’s not clear how we should use the coin. However, before we go to the examples I want to highlight the kind of mentality one should have about the coin. Fills in possible gaps in your curve. Enables you to clear a minion. 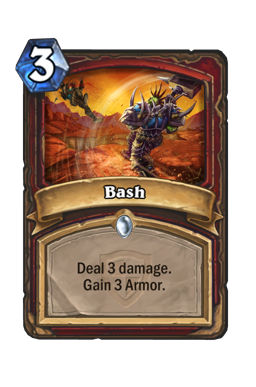 The Warrior can decide to either play the Armorsmith or use the coin on Bash to clear the Knife Juggler . 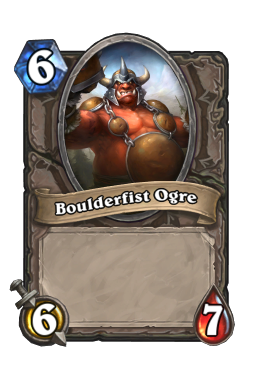 The Rogue decided to coin out the Shado Pan Rider, essentially playing a Boulderfist Ogre on turn 4. Gains you initiative on the board. 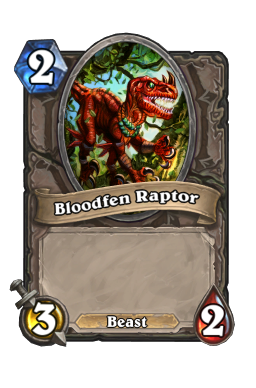 The Hunter decided he wanted to take the board early and coined out the Bloodfen Raptor . I haven’t listed these in any particular order, nor is this meant to be an exhaustive list of all the plays The Coin can enable. However, what is interesting and important about this list is that these are the winning plays that an advanced player considers every turn when deciding what to do. What I mean is that any player should try to evaluate the kinds of plays their particular hand can make and then determine which of those plays is the best in that particular situation. What the coin allows you to do is to enable those kinds of winning plays a turn before you could normally make them, which is huge. This fact alone is the main reason why one should never undervalue the coin. Make no mistake however, sometimes there will be situations where your options are limited even with the coin that you have to make compromises. The silver lining is that the coin is flexible enough to allow you to make smart compromises in difficult situations. For this particular article I will not focus on these kinds of plays rather I want to draw attention to the Initiative play. For some reason this particular play gets overvalued by some players, which I believe is a mistake. The reason why is because it is easy to misjudge how this particular play works. It is not the case that we coin out a minion on turn 1 just because that play on its own is powerful. Rather what makes this play powerful will be somewhat determined by the following couple of turns and what cards you actually have in your hand. 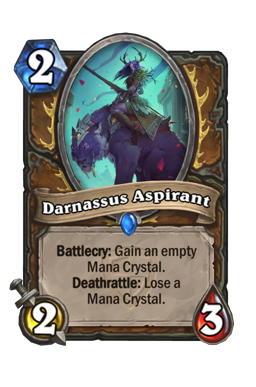 Often times doing nothing on turn 2 and turn 3 after coining out a minion on turn 1 will be a losing play. The reason why it will be a losing play is because if you are unable to do anything the following turn then the initiative you gained by your turn 1 play is completely nullified. A better play in this situation is to keep The Coin , play your 2 drop on turn 2, and then use the coin for any of the aforementioned plays to help you come back into the game. The important thing to remember is that gaining initiative on turn 1 is meaningless if you can’t maintain that pressure on the following turns. In order to understand what I mean I have prepared some examples to highlight the particular situations that I am referring to. 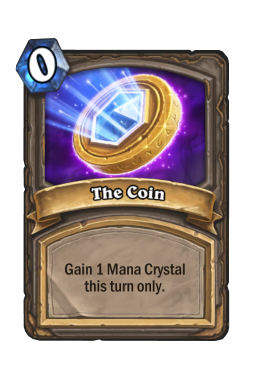 The question is should the zoo player use the coin to either play two 1 drops or a 2 drop. 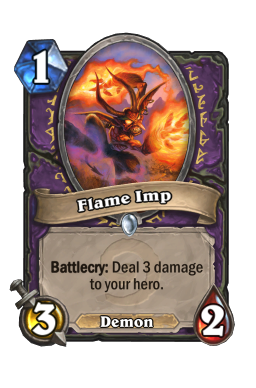 If the Mage player plays a mech on turn 2, the most likely play, then the Mage will be able to destroy whichever minion the Zoo player decides to play. At first glance the strongest play available for the zoo player, ignoring the Mages turn 1 play, is to coin out the Knife Juggler and use both of the 1 drops the following turn for 2 extra pings. 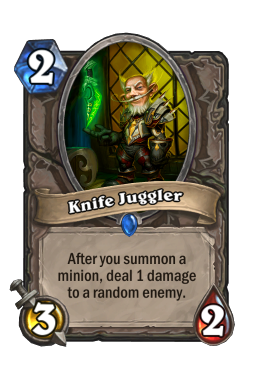 However, given the situation it is a trap to assume that coining the Knife Juggler is the optimal play. Rather the best play in this situation is to hold onto the coin and trade the Flame Imp with the Cogmaster and wait to see what you can do with the coin in the following turns. The goal here would be to wait for a turn where the coin can actually enable you to do something powerful. This example is harder to evaluate because at first glance we have a situation where the Rogue player can curve out rather impressively from turn 1 to turn 4. However, the SI7 Agent makes this play rather ambiguous. The player can decide to wait to use the coin on turn 2 to gain a bigger tempo advantage by destroying their 2 drop and developing a 3 drop on turn 2. In this particular game the player decided to save the coin to use it in conjunction with the SI7 Agent later on. As we can see this particular player valued the battlecry of the SI7 Agent higher than the Initiative play. It’s not obvious which play is the most ideal play but given that gaining value out of your minions is so important in this game then saving the coin might be the best play in this situation. Furthermore, the Rogue makes the best use out of the coin that saving it when playing rogue is always ideal. Here is another example where we have a rather obvious power play. 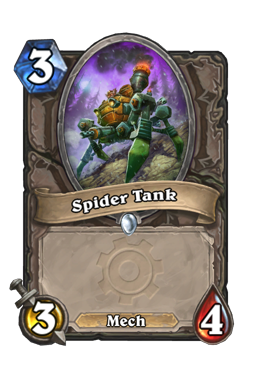 What I mean is that the Rogue player can decide to coin out the Mechwarper and hope it stays alive to play the Spider Tank on turn 2. Technically this hand is similar to the kind of hand I have said to avoid using the coin with. If you play a 2 drop and your opponent has an answer on turn 2 then you will have no play on turn 2. I have spoken against making that kind of play earlier in the article. 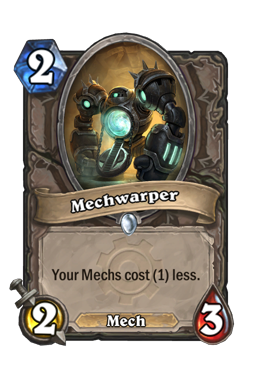 However, what’s unique about this situation (just like with Druid’s coining out a Darnassus Aspirant on turn 1) is that the Mechwarper has a built in ramp mechanic that might be worth the gamble you are taking by coining it out. Furthermore, this hand actually has a 3 drop so even if the opponent has an answer on turn 2 you can simply answer the turn 3 play with your turn 3 minion, which is fine. 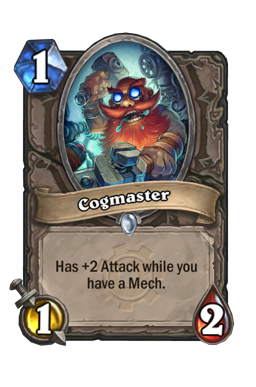 Even beyond these reasons anyone who has ever played Mech Mage knows how powerful coining out a Mechwarper is. This particular hand is really interesting because at first glance playing the Defias Ringleader is such a powerful play. However, if we consider what the enemy rogue can do on the following turn then the play is not so obvious. 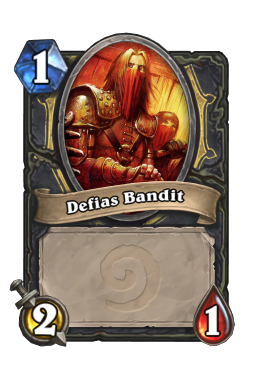 What I mean is that if the player choses to coin out the Defias Ringleader then the enemy Rogue player can simply use the hero power to kill off the Defias Bandit and trade the Southsea Deckhand with the Defias Ringleader. Rather than do that the Rogue player can decide to coin Hero Power and kill off the Southsea Deckhand. 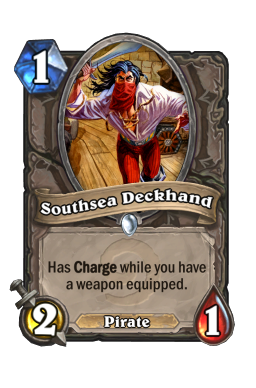 Or instead, the Rogue can simply pass and use the Hero Power next turn anyways to kill off the Southsea Deckhand. It is not obvious which is the most ideal play in this situation but the greedy player in me says to hold off and do nothing on that turn. A more conservative player who is afraid of being run over by an aggressive Rogue draft would ping the Southsea Deckhand on that turn. What is clear however, is that coining out the Defias Ringleader is not the best play in this situation. One thing to remember is that using The Coin will always reflect the particular play style of any player. 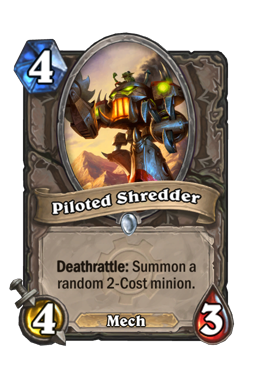 There are some players that have a preferred way to use the coin, I know personally I like making huge tempo plays like coining out a Shado Pan Rider on turn 4. Which is why I am not saying that you shouldn’t use the coin turn 1 or that the plays made in these games are the plays you should be making. But rather I wanted to highlight particular situations where the Initiative play is not obviously the right play. In general I wanted to show that saving your coin for other kinds of plays rather than gaining initiative on the board might be the ideal play. However, there are always so many factors to consider that when you use the coin will be different every game. What’s important, is to remember that the coin has such a large range of use that wasting it on a ping to the face, that doesn’t win you the game, is a mistake. The coin, as stated above, can affect your win rate which is why players should be looking to see what kinds of advantages the coin enables for them rather than using it on the first play that presents itself like the Initiative play.